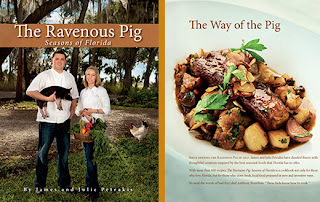 The Ravenous Pig in Winter Park is arguably the best restaurant in Orlando and now owners James and Julie Petrakis are pleased to announce their cookbook The Ravenous Pig: Seasons of Florida. 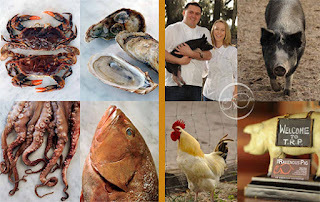 The 256 page cookbook has more than 100 photographs and tips on everything from fileting fish to roasting mushrooms. The book shares the secrets behind our most popular dishes, including Gruyere Biscuits, Shrimp & Grits and our sinful Pig Tails, to seasonal favorites such as Southern Oysters Rockefeller and Roasted Red Snapper with Black-Eyed Pea & Hominy Stew. The book also contains recipes for hand-crafted cocktails, such as the Bacon Old-Fashioned and the Umatilla Smash. The release coincides with their 5 year anniversary on October 3rd and we will be celebrating all week! On Sunday, September 30th they are hosting a Release Party from 5pm to 7pm. Tickets are $50 for two people and include hors d'oeuvres from recipes in the book, cocktails, wine and beer plus one signed first-edition copy. Tickets can be purchased at The Ravenous Pig. 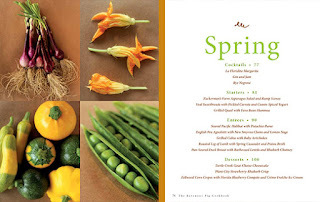 Want to order your cookbook early? The Ravenous Pig: Seasons of Florida is available for pre-sale* exclusively at The Ravenous Pig and its-soon to be open-sister restaurant, Cask & Larder. It is also available online at www.theravenouspig.com. *All pre-sale orders will be available for pick-up on October 2nd. Online orders for shipping will be processed on October 3rd and shipped on October 4th. I can't wait to get my hands on this cookbook! 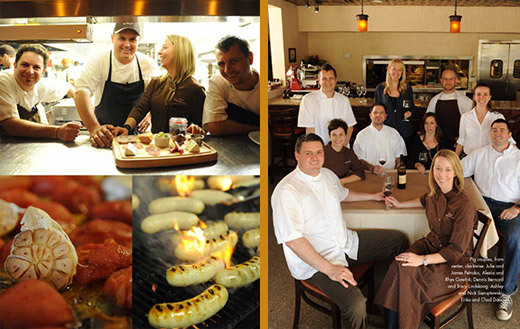 James and Julie serve some of the best food in Orlando. agreed...heading over there now to reserve a copy.